It’s Arisia prep time, but you can read all about that down in the Appearances and Events section. Today I’m going to give you a peek at the behind-the-scenes work on my March 31 photo shoot for Well Behaved Women. It’s a rather ambitious project that requires me to assemble six full costumes, complete with the appropriate props, for three models. Last week I purchased all the things I needed for Jen MacPherson, the woman who will be modeling for the main character, Sgt. Rose Booker of the Worcester Police Department. This was probably the most demanding outfit to assemble since it has to look reasonably like an actual WPD uniform. 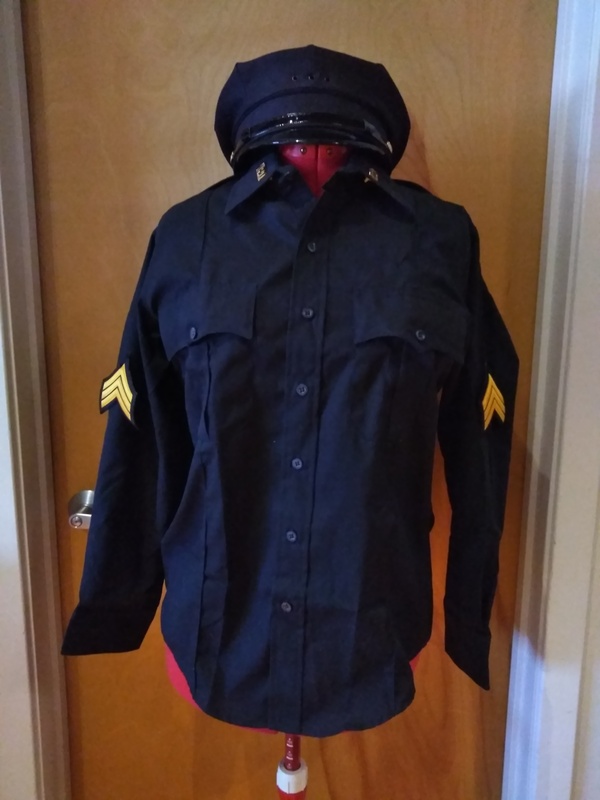 I have to give a big shout-out to Trippi’s Uniforms of Shrewsbury, which helped me acquire the appropriate uniform shirt and hat, and a few key finishing touches, such as the little WPD pins on the collar. A bonus thank-you to the unnamed cop at the counter who pointed out a critical detail, that ranked officers (sergeants and higher) have gold-toned uniform accents, not silver-toned. I never would have guessed that on my own. I had to poke around the Internet for some of the other finishing touches, such as the badges for the shirt and hat. You can’t buy authentic badges without a police administrator’s permission, I learned, so I had to search around for replicas that looked authentic-ish and accept that these specific details wouldn’t be perfect matches — although I suspect that only actual WPD officers would notice. My wife will be putting her embroidery machine to use to duplicate the other unobtainable element, the official uniform patch. Add to that the non-firing prop handgun I found on Etsy — most places will not ship realistic firearm replicas to Massachusetts — and I should have a pretty damn good-looking WPD uniform. 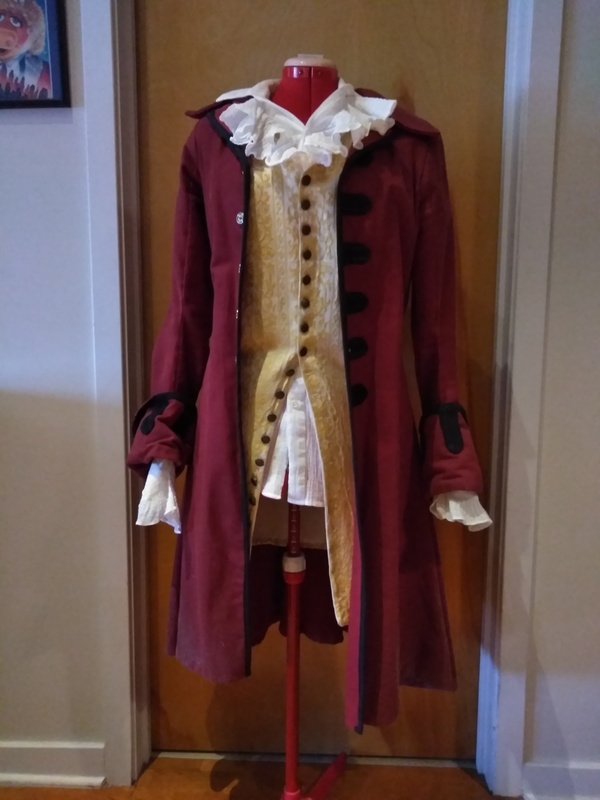 As for the other models’ costumes, I’m not going to tell you who the characters are in the interest of preserving the mystery for a while longer, but here’s a photo of one of the other costumes. Any guesses who it is? Well Behaved Women: I indulged in a great three-day writing weekend and I got a LOT done. Having the cover shoot coming up is giving me some great motivation to finish this series up. THIS WEEKEND! Friday, January 12 through Monday, January 15, 2018: Arisia 2018 at the Westin Boston Waterfront Hotel. I’ll be back selling books and speaking on three panels: We Got Movie Sign! Mystery Science Theater 3000 (in Burroughs, Saturday, 10:00 PM); Stage Presentation: A Minute or Less to Impress (in Faneuil, Sunday, 11:30 AM); and Fight Science for Writers — Hands-On Demos (in Otis, Sunday, 4 PM).